If probably you don’t love to ride a two-wheeler, then probably you’re not the fittest person and you can’t expect others to adore you. If probably, am I going to start like this, then it’s very much clear that I’m a bike loving person. There were times when you ride your dad’s vehicle and park it somewhere near your hangout spot; your friends come like, Hey dude! That looks AWESOME and there you feel like flying in the air without even getting the immigration. Haha, sounds really funny isn’t? Those were/are the days when you ride a beauty, you feel like the entire eyes filled there are bloody hitting on you; Riding a car is completely different from what you ride a bike; you’ve window closets surmounted when you drive a car; but, its not the case when you ride a bike. Movies of this generation still show the same scene that a guy comes off in a bike and proposes his crush, without a smirk, she comes laughingly and sits in that bike. These are some of the assets when you own a bike. However, movie is a movie; if you still follow those scenes and if you’re planning to buy a bike, then you’re the greatest foolish of this planet. Yamaha FZ-S. Rs. 72,335/- (Ex-showroom, Delhi). Yamaha FZ-S is a stylishly designed 150cc bike that offers good handling, comfort and quality features. 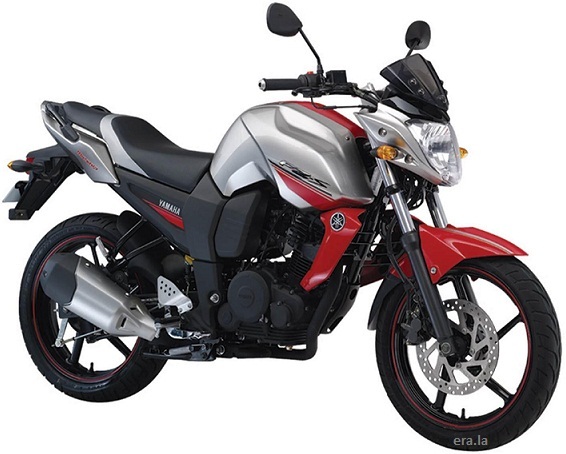 The FZ-S is the refreshed and upgraded version of Yamaha FZ-16 model. The bike powered by a 4 stroke, 153cc engine that mated with 5 manual gear boxes. The engine used here is strong and powerful enough to make quality ride. The engine can produce power of 14 Bhp at 7500 rpm and torque of 14 Nm at 6000 rpm on ride. 153cc is the displacement of this bike. Yamaha FZ-S offers 47kmpl mileage in high way and 36kmpl in city. Yamaha FZ-S is currently available in only one variant and 4 color options. FZ-S is said to be the most handsome bike the FZ series. The changes made in the external made it look much sporty and aggressive than older model FZ series. The bike weights 135kg and measures 1975.00 mm x 770.00 mm x 1045.00 mm (length x width x height). The ground clearance is 160mm and a wheel base of 1335.00 mm. Bajaj Pulsar 220 is an aggressive sports bike from Bajaj. 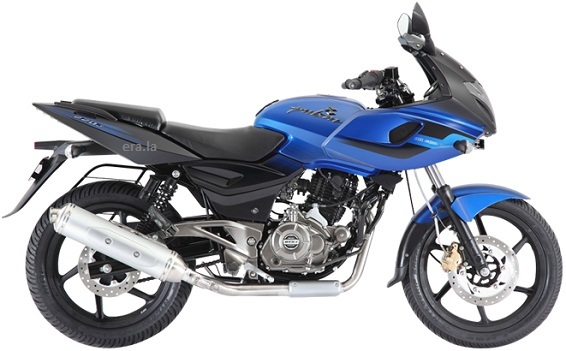 Bajaj Pulsar 220 is available in 2 variants and attractive color shades. The design and style of this “fastest Indian” bike dominates in black theme. This 2 seater have 150kg weight and measures 2035.00 mm x 750.00 mm x 1165.00 mm (length x width x height). The ground clearance is 165mm. It is powered by a 220cc, DTS-I engine that can produce power of 20.8 Bhp at 8500 rpm and torque of 19.12 Nm at 7000 rpm on ride. The engine mated with 5 speed gears. 44 kmpl is the offered average mileage of Bajaj Pulsar 220F. The attainable top speed of the bike is 144kmph. Bajaj Avenger 220 Rs. 77,000 – 78,200/-(Ex-showroom, Delhi). Bajaj Avenger 220 has a powerful 220 CC DTSi engine ergonomically designed to ensure smooth riding. Avenger DTSi consists of twin spark plug that gives the bike an efficient power for long crusade. Powered by a 4-stroke, single cylinder, DTS-i, air cooled with oil-cooler offers 19.03 @ 8400 power and 17.5 @ 7000 torque on ride. A long slung criser enables easy seating. Avenger consists of dual density foam seats, back rest for pillon, combined with low saddle that makes it really comfortable for long riding. The bike is supported with broad rear grip, disc brake on the front. That is enhanced with outstanding braking in the roads without any hassle. 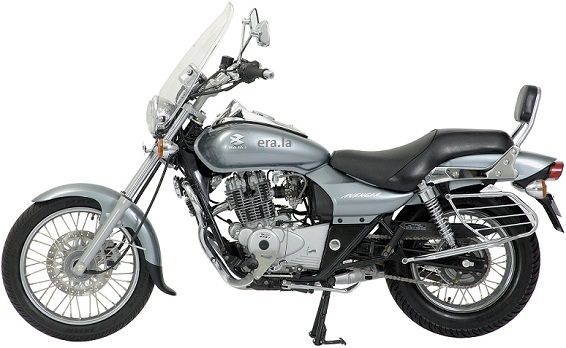 Avenger 220 CC DTSi is classically designed with cruiser appearance, classic fuel tanks. Drive Avenger by swinging your legs over the saddle and enjoy heavenly drive.